Refer to the exhibit. 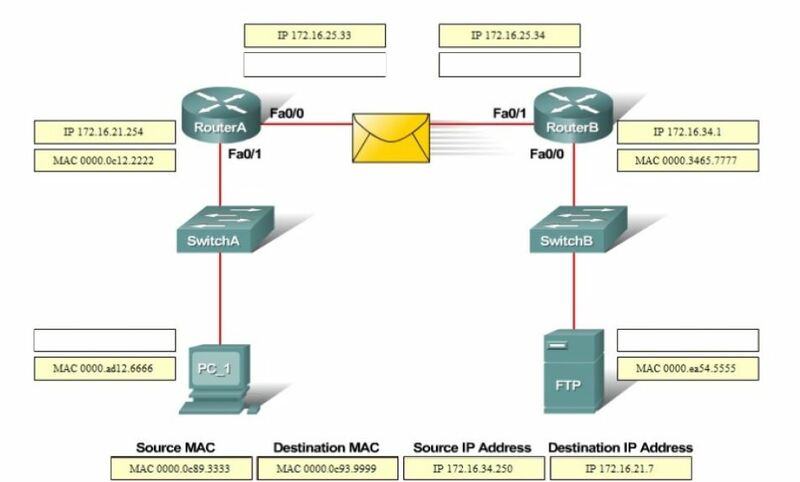 PC_1 is exchanging packets with the FTP server. 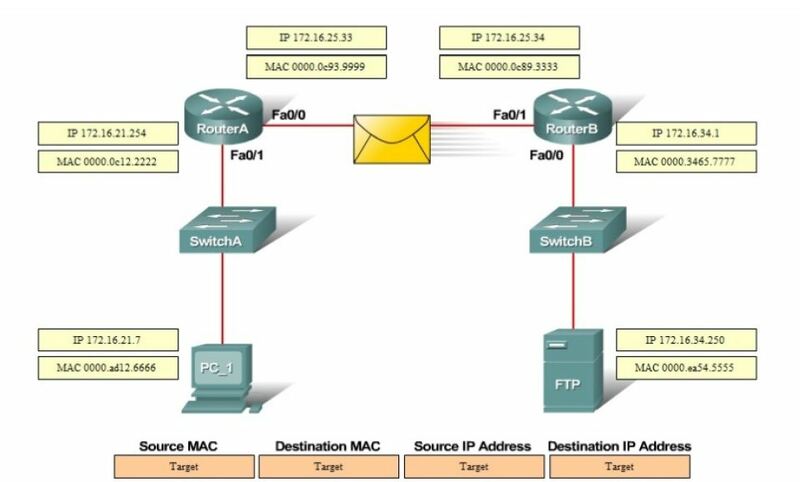 Consider the packets as they leave RouterB interface Fa0/1 towards RouterA. Drag the correct frame and packet addresses to their place in the table.